Experience the wonders of South Africa all in 13 days. 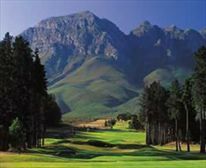 From Cape Town and its world class golf courses to the Garden Route and its spectacular golf courses, you are in for a treat on this tour. 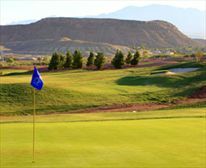 Play 7 rounds of golf including the Links Golf Course which hosted the Presidents Cup in 2003. End your holiday at Hlozi Game Reserve where the husband and wife team of Sharon and Will are on hand to look after your every need. Experience the most spectacular scenery along South Africa's coastline. 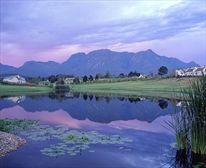 Start your golfing in Cape Town, travel the Garden Route and end on safari at a private Game Lodge. This package can be booked all inclusive or as a self drive option with flights between major centre's. On arrival at Cape Town International Airport, you will be met by one of our representatives and transferred to your hotel. After booking in our representative will take the time to explain the vouchers to you and answer any questions which you might have about your holiday. If you are making use of car hire we will arrange for it to be dropped at the hotel. (Optional) Spend the afternoon exploring the city of Cape Town and end the day off with a cable car ride to the top of Table Mountain(Weather dependent).This will be finalized on arrival. (Optional) The Cape Point Reserve was a signal for sailors that they had rounded the Cape. Explore this area and stop at the penguin colony at Boulders Beach on your return (Weather dependent).This will be finalized on arrival. (Optional): Spend the afternoon in the Stellenbosch Winelands sampling a variety of world class wines or enjoying sundowners on a working wine farm. Wines can be purchased at the estates, packaged and sent to your home anywhere in the world (Weather dependent).This will be finalized on arrival. 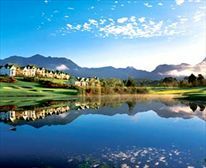 Depart down the Garden Route for the town of George which is famous as being the venue of the Presidents Cup in 2003. (Optional) Visit the town of Oudtshoorn in the afternoon for a tour of the ostrich farms, crocodile farm or the famous Kango Caves. (Optional) Spend the afternoon in the spa at Fancourt in order to treat yourself and rejuvenate your body. 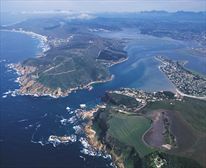 Check out of your hotel and enjoy the 1 hour drive to the coastal town of Knysna. After checking into your hotel you will spend the rest of the day exploring this beautiful town. 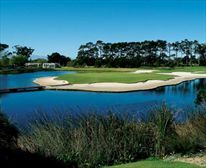 (Optional) After playing this fantastic golf course you can finish the day with a sunset cruise on the Knysna lagoon while eating oysters and drinking champagne(Weather dependent).This will be finalized on arrival. 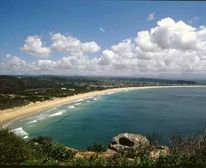 (Optional) Spend the afternoon on the beaches of Plettenberg Bay or enjoy a boat ride in search of the majestic dolphins and whales (Weather dependent).This activity will be finalized on arrival. Sleep in and relax before you transfer to the Amakhala Game Reserve. On arrival spend the afternoon enjoying the sheer beauty of nature before departing on a sunset game drive. Meals included: Dinner & breakfast. A full day on safari where you go in search of rhino, buffalo, elephant, lion and leopard as well as the plains game which inhabit the area. Enjoy game drives in the back of the open air vehicles or follow Will as he tracks the game on foot. Check out of the lodge and spend the rest of the day relaxing before heading to the Port Elizabeth Airport in time for your flight home. 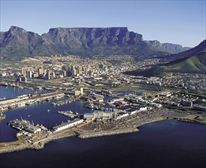 4 x nights at a Cape Town hotel occupying standard rooms on a Bed & Breakfast basis. 3 x nights at a Garden Route hotel(George/Wilderness area) occupying standard rooms on a Bed & Breakfast basis. 3 x nights at a Garden Route hotel(Knysna/Plettenberg Bay area) occupying standard rooms on a Bed & Breakfast basis. 2 x nights at a game lodge occupying standard rooms on a fully inclusive basis. Two game activities daily while at a game lodge. 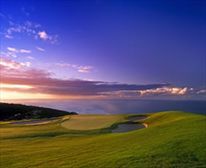 18 Holes of golf at Erinvale Golf Club, George Golf Club, Pezula Resort Hotel and Spa, Steenberg Golf Club, Clovelly Country Club, Pezula and Plettenberg Bay Country Club. All packages are subject to availability. However we are able to change golf course venues to similar courses in the area should they be fully booked. This package is based on a minimum of two golfers. 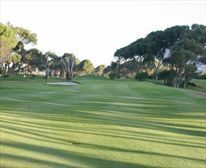 However we have various activities for non golfing partners who wish to travel with their partners which include visiting a wellness centre, shopping excursions, sight seeing, historical tours or even relaxing on the beach or round the pool at your hotel. All our packages can be integrated into your extended Southern African Holiday and our specialized destination consultants will assist in planning the balance of your visit to Southern Africa.